Our goal at Freightview is to make shipping easier for our customers. Part of that is providing education to the carriers our customers choose to ship with. 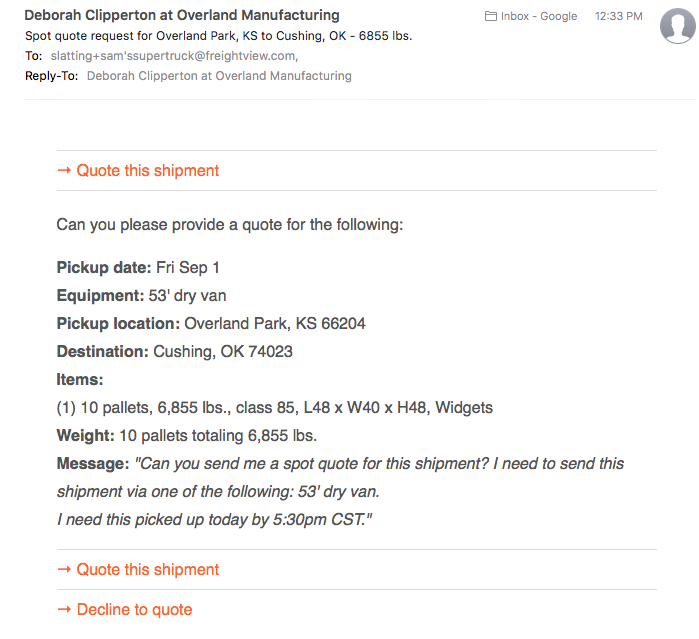 We recently rolled out a spot quoting tool as a way to help streamline such a manual process without disrupting the existing relationships between shippers and their carriers and brokers. This post is meant to serve as a resource to those carriers and brokers to know what to expect when their customer begins spot quoting within Freightview. 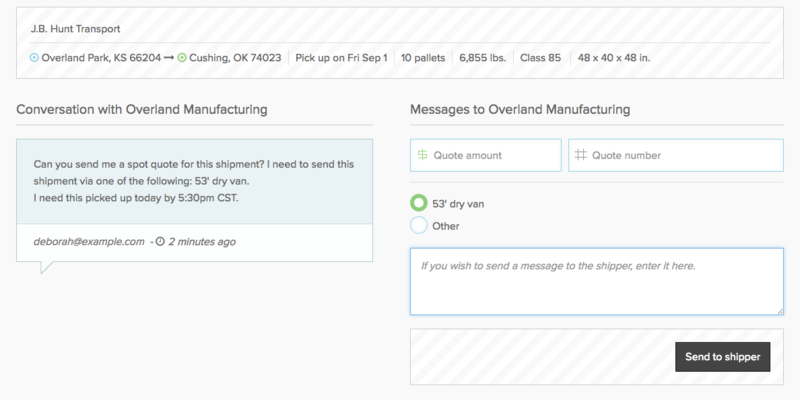 You will be able to enter a quote amount, a quote number, and we’ll provide a place to enter any additional message you may need to pass onto the shipper. Say the shipper decides to award you their freight. Yay! You will receive this confirmation email. From here you will confirm the pickup. 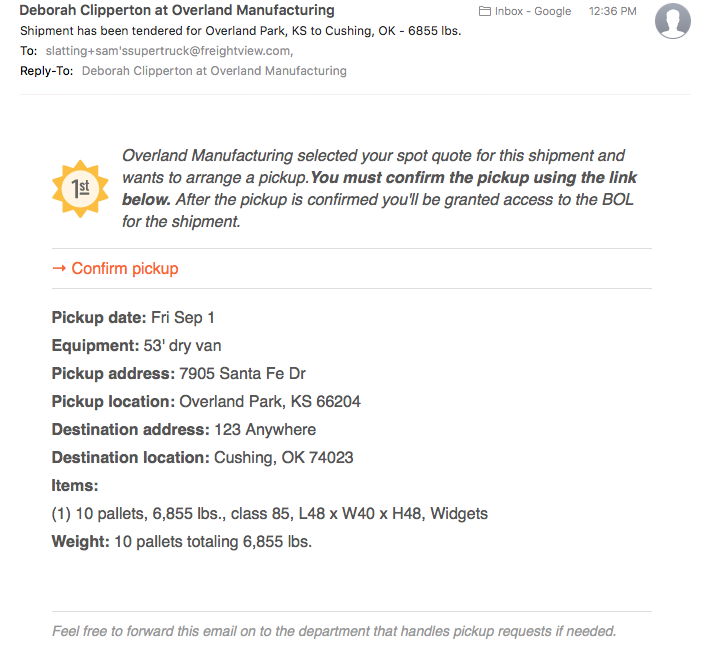 This lets the shipper know you saw the awarded shipment, and are still available to make the pickup. After you do this you will have access to the BOL.